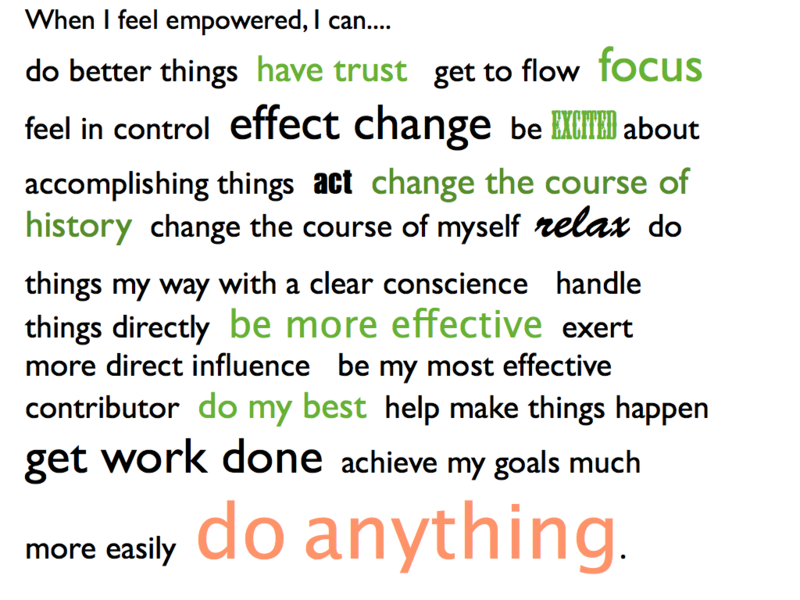 When I feel empowered, I can.... - esther derby associates, inc.
Read this aloud. Feel it. Is this the way you’d like to work? laugh and enjoy my co-workers. 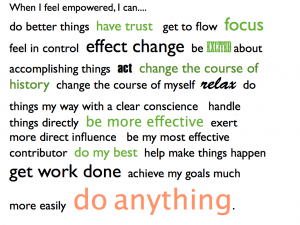 act, based clear constrains, my experience and my context.